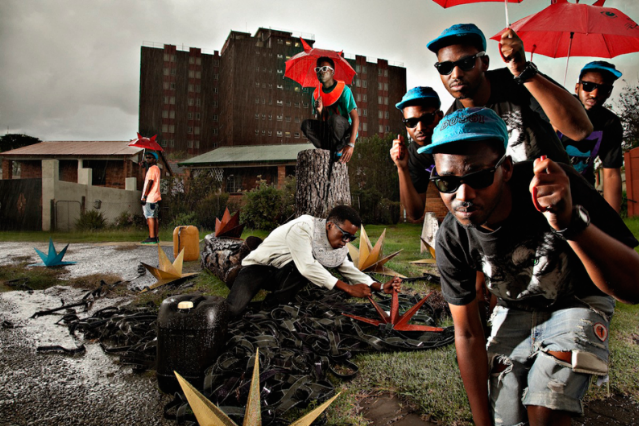 Dirty Paraffin is Okmalumkoolkat and Dokta Spizee, two Durban-born, Johannesburg-based electro-rap pranksters who — like their friend Spoek Mathambo — are crafting some of the most exciting, forward-looking pop music in all of Africa right now. In March, in his review of Mathambo’s SPIN Essential Father Creeper LP, contributor Richard Gehr very smartly liked them to Brooklyn’s Das Racist, “only Zulu,” a connection illuminated best perhaps by the cheeky “Download This,” a track whose title the Das Racist guys could easily appreciate. It’s set to feature prominently on the duo’s forthcoming DP EP, due to steam here in full come Friday.